While fully compliant cannabis retailers across the Golden State are being forced to pass high tax rates on to their customers, some brazen unlicensed dispensaries advertise that they don’t pay state or local taxes, meaning their marijuana is far cheaper than prices at law-abiding shops. 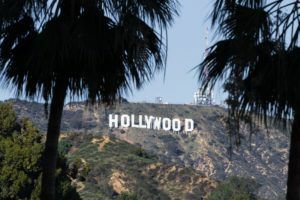 The disparity has led licensed retailers to file complaints with the California Bureau of Cannabis Control about many of those unlicensed competitors, plenty of whom were identified by the bureau through their ads on Weedmaps. But Weedmaps is incidental to the real conflict. The real story pits former political allies – California MJ companies were largely united behind full legalization in 2016 – against each other as the economic pie gets divided into haves and have-nots. The situation even led Alameda County District Attorney Nancy O’Malley to try to soothe industry concerns over “snitching” on competitors when she took part in a March panel sponsored by the California Cannabis Industry Association in Sacramento. O’Malley specifically raised the possibility of businesses being hesitant to inform on unlicensed competitors that are breaking state law. That represents a culture shift. Taxpaying marijuana businesses are incentivized like never before to get the entire industry’s act together, which means blowing the whistle on bad actors. Legalization, in other words, has turned plenty of former rebels and outlaws into narcs, in a strange twist of fate. And, who couldn’t see that coming…? Before the law was enacted? Of course they ( the insiders ) did. This is why( in part ) the Ca. model is going to fail. It didn’t need to be a case of have/have not’s. One could argue that a good number of the have not’s may have been better actors than those that got licensed. Now why would that be? Because nothing is standardized. And, when there’s no standardization, lot’s of corruption takes place ( at the regulatory level ). So, what’s going to happen now, is that lot’s of ( unnecessary ) good money is going to be thrown after bad. To “justify” the gov. work/part in this ( that could have been entirely avoided ). Guaranteed, this will create more fraud,waste and abuse at the state and local levels… not to mention an impending public health crisis all because of a handful of greedy ba***rds that don’t give a crap about anyone else but themselves. And, that very much includes state/local govts. that are participating in this scheme. There should not be any illegal cannabis operations, any more than there should be illegal alcohol or tobacco operations. Normally legal alcohol or tobacco operations, have such an advantage in that they are able to advertise, as opposed to illegal operations that must conceal their activities, that the legal tax-paying entities win out. In NYC cigarettes pay a total tax of $80 per carton, but there is very little smuggling from low tax jurisdictions where a pack is $8 less. Some Cop wannabes have crawled into the movement. These now “legal” operators were not legal that long ago. There’s a reason the state gave an initial grace period and now extended that another six months. These municipalities are still trying to sort and figure this all out. So as time goes by these illegal operators are still trying to stay afloat just like the former illegal operators were. Oh how soon they forget where they came from in the name of greed, now they are snitches! I do know of how the alcohol industry was able to control all distribution in Nevada. How, you ask, well, I do know of people that were in the cannabis deliver business in Las Vegas, but the alcohol industry wanted to have a monopoly on all cannabis distribution. What did they do. Well, they paid off all law enforcement in Vegas and the entire state of Nevada to shut down all mom and pop cannabis delivery businesses. Obviously, it became a wide open terrain for alcohol industry, and we know of who owns the industry in Nevada. Guess what, the same thing is happening in California!! No surprise, is it? Until we start treating cannabis like nutrition it will always be controlled.Cannabis is the most beneficial plant on earth.it has medicinal properties that’s good for our whole body.our bodies have an endocannabinoid system, we find Cannabinoids in the cannabis plant.therefore our bodies require cannabis to live heatlhy lifes.